The manufacturing sector is always changing to reflect contemporary trends of technological development. Since the steam engine ushered in the Industrial Revolution in the 18th century, machines have been gradually replacing the power of man and beast. The Second Industrial Revolution at the end of the 19th century saw the widespread adoption of electricity. The third wave added computer and di­gital control technologies along with increasing automa­tion of industrial processes. Reflecting the maturation of contemporary digital technologies, in 2011 the major industrial power of Germany first announced the concept of “Industry 4.0,” which emphasizes the use of sensors, big data, the cloud, and the Internet of Things to achieve “smart manufacturing.” Many other countries have followed suit, including Taiwan with its “Productivity 4.0 Initiative.” It has become a global trend. With the reconfiguration of global manufacturing, Taiwan is under pressure from international markets. At the same time, with a low birthrate and an aging society, the labor shortage here is only getting worse. Apart from improving Taiwan’s industrial structure, the Productivity 4.0 Initiative also aims to overcome the manpower shortage by going upmarket. Taichung is a stronghold of Taiwan’s machine industry. At the foot of Mt. Dadu, within a strip of land some 60 kilometers long by 14 km wide, there are more than 1000 precision machinery factories. With the goal of upgrading their industry, a group of machine tool makers here formed the “M Team” (“Machine Tool Team”) some ten years ago. Now the government has launched the “Five-Plus-N Innovative Industries Initiative.” The smart machinery industry is one of the initiative’s focuses. Both the central government and the Taichung City Government have resolved to make this area the “global capital of smart machinery” and have together set up the “Smart Machinery Promotion Office,” which is charged with formulating and promoting a series of relevant government policies. In accord with central government policies, the Tai­chung City Government and the Industrial Technology Research Institute (ITRI) oversaw the establishment of the “A-I-M Aerospace Machine Tool Industrial Technique Alliance” in December of 2015. “A-I-M” is derived from the three teams that comprise the alliance: the “Aerospace Team,” the “Intelligence [i.e., smart technology] Team,” and the “Machine Tool Team.” The Tai­chung City Government has served as the platform for establishing the A-I-M Alliance, bringing together the supply side (aerospace) with the manufacturing side (machine tools), and adding a research organization (ITRI) to provide advice and add value, all in the hope of manufacturing aerospace machinery of high quality and high added value and thus giving Tai­chung a prominent place in this global market. Software is at the core of “Industry 4.0.” Nevertheless, before you can get to sensors, robotics, automated guided vehicles and so forth, you’ve got to return the focus to the place of production. “Lean production” comprises a set of management concepts pioneered by Toyota to foster production-line methods that generate precision and rational workflows while reducing costs and raising quality. 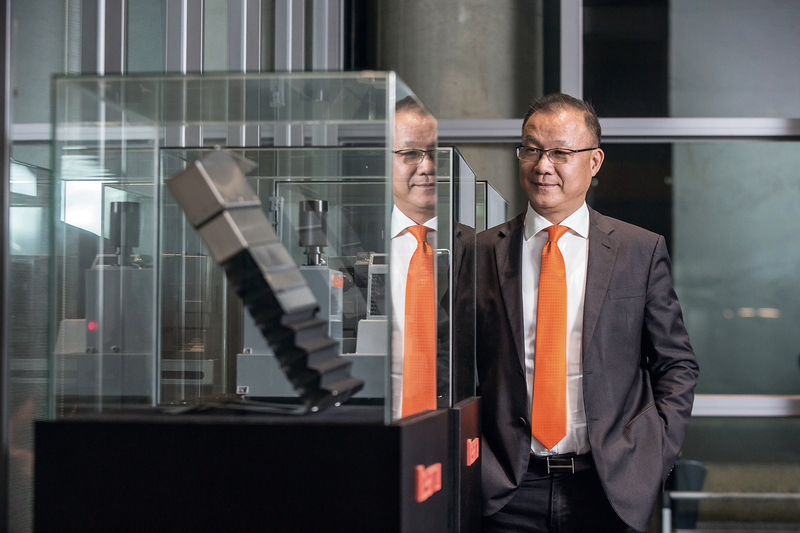 About 20 years ago, King Wang introduced lean production at Key­arrow, where he is now chairman. The company even stepped beyond manufacturing to found a lean-production management consulting firm. 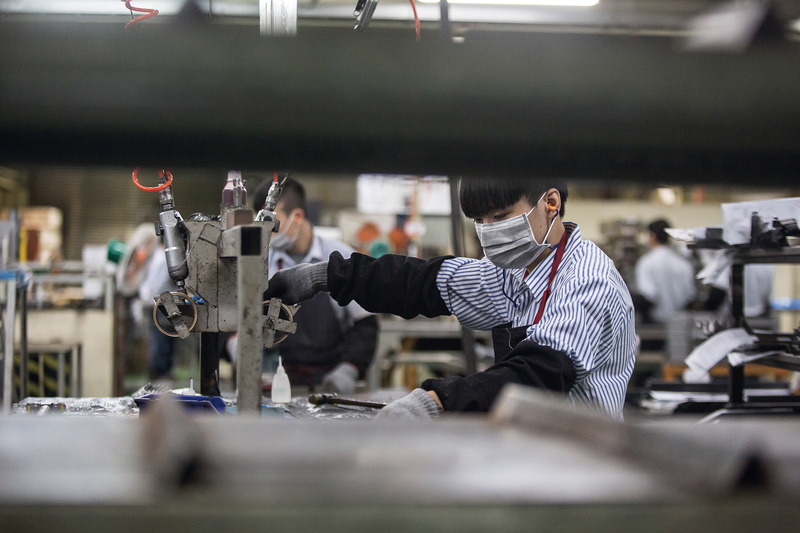 When we walked into Key­arrow’s plant at the Tai­chung Industrial Park in Tai­chung’s Xi­tun District, the clean working environment and orderly production lines immediately suggested a sense of freshness and innovation. A production cycle that would take a typical factory producing machine parts two days to finish can be completed here in four hours. A new line just added this year has in fact dropped that production cycle to under 30 minutes. What’s more, most factories look for economies of scale by putting completed goods in a warehouse and waiting for customers’ orders to ship out. But Key­arrow can wait until customers place an order before beginning production, while still delivering goods faster than their competitors. Wang notes, “We have zero inventory. Finished goods never sit in the shipping area more than two hours before collection.” That’s a remarkable statement. 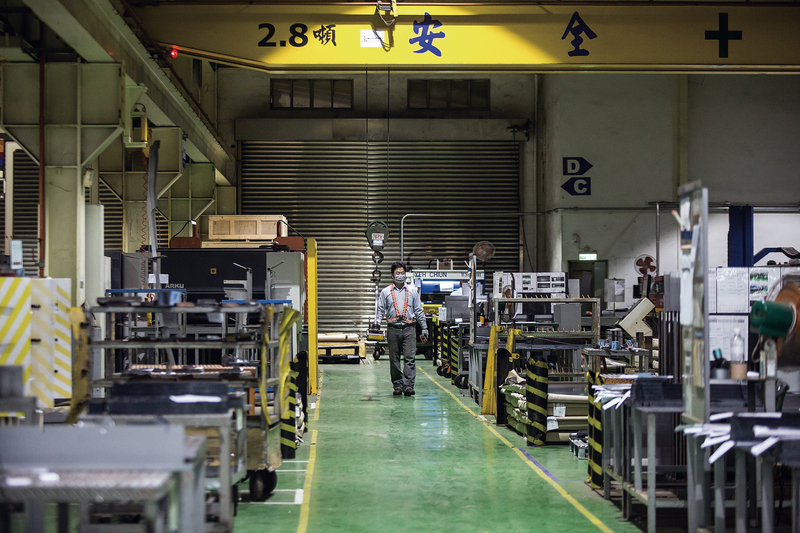 As we walk through the plant, Wang reveals its secrets: It turns out that the production line achieves lean production via “visual management.” Casting one’s eyes across the production floor, one can see 20 carts, which travel between processing stations. Once the process at a station is completed, the materials are placed on one of the carts, ready for the next step in the process. “There used to be 200 of those carts, but because there were so many of them, no one paid them any mind,” notes Wang. Workers lacked a sense of urgency. But with only a few of them, workers finish working on what they are brought quickly. One sees the quantity clearly, so it keeps people on their toes. “Furthermore, in this factory, doing things in the right order takes precedence over all. Upon discovering a mistake, most factories are reluctant to shut down the line, so they’ll just pull out the problematic workpiece and go on to the next. But as soon as we find a mistake, we stop. We wait for the root problem to be sorted out before making the next item.” He then gets to the heart of the matter by divulging another secret: “In this way we created a certain invisible tension, wherein everyone actively steps up so that no one else will have to tell them what to do.” This is the “orderly production” of which Key­arrow is so proud. Lean production emphasizes that “demand equals supply.” Wang says that inventory is like the water level of a reservoir. As the level gradually declines, many little problems become visible. With greater management focus on the individual links in the corporate chain, such as workflow, purchase orders, staffing, and delivery, steps that add no value can be eliminated from the process bit by bit. “There’s nothing unusual about solving problems by spending money,” he notes. “What we aim to tackle are those things that you can’t solve simply by throwing money at them.” Take, for instance, their new production lines. With lean production improvements, lines with equipment costing NT$30 million can be replaced by lines costing only NT$6 million. With those lower costs comes a drop in the length of the production line from 90 to 22 meters and a shortening of the production cycle from two hours to 30 minutes. When the assembly lines and production cycle were longer, a consultant once suggested that they consider buying automated guided vehicles and a barcode tracking system. But with lean improvements to the production lines, there was no need for such expensive solutions. Wang says that in terms of Industry 4.0, Taiwan hasn’t lacked smart manufacturing technologies so much as a commitment to sticking to the correct routine—because even if you get the right machinery, the steps in the manufacturing process must still be managed by people. 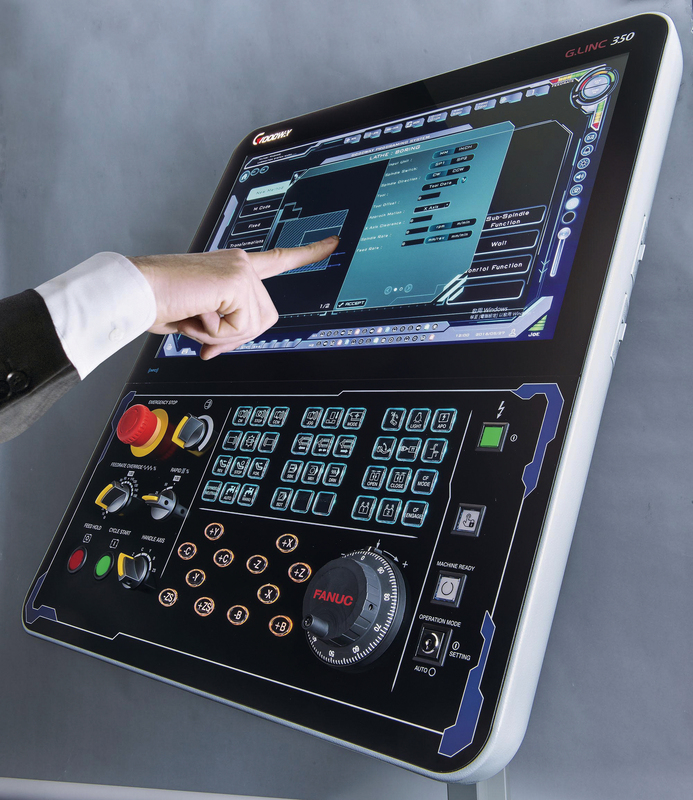 Consequently, before looking at poss­ible localized equipment upgrading, there is a need to turn to the root issues, creating a standardized workflow for the production line and implementing “lean management” approaches as much as possible. Only then will machinery upgrades be meaningful. 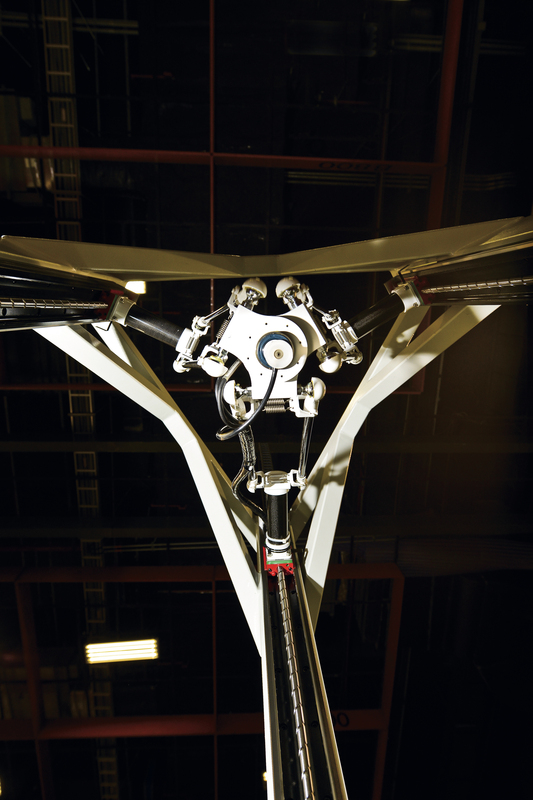 “The machine industry is a special realm of manufacturing. From research and development, to design and production, every step demands large amounts of specialized techniques and technology. Firms are thus dependent on having the proper personnel.” ­Chiou Shean­-juinn­, chair of mechanical engineering at National ­Chung ­Hsing University, takes it a step farther: “Every­thing in the end comes back to people. You can bring someone in short term to put out a fire, but over the long term you’ve got to rely on more extensive cultivation of skills in educational institutions.” Various colleges and universities in central Taiwan are one after another mobilizing to become cradles of this kind of talent, actively responding to industry trends and government policies. 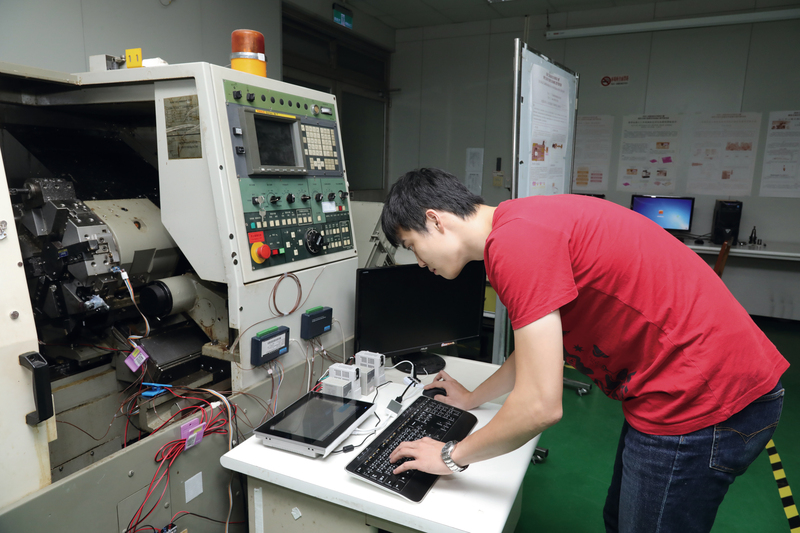 Feng Chia University, which grew from a small university with colleges of business and engineering, has formed an industrial‡academic alliance with about 500 businesses. The alliance promotes specialized ­collaborative projects, with businesses providing financial support and the university providing teaching personnel. Students are also given internship opportunities. The alliance’s resources are found at various places on campus, creating a holistic educational realm. A good example is the “Smart Machinery Corridor,” which comprises five labs. Places to put into practice the academic lessons taught in class, these labs include the latest equipment donated by industry partners, which is made available to students. Apple, moreover, has signed an agreement to establish a regional training center, which will be equipped with Macs and iPads donated by alumni. The school includes two faculty members who have been trained and certified by Apple to teach courses on app design for the iOS operating system. Apart from taking active steps to connect with industry, the university has also been introducing revolutionary educational methods. Feng Chia University president Lee Bing-jean emphasizes: “Education used to place greater stress on the transmission of knowledge. Now, apart from welcoming the resources of government and industry, we are also creating new forms of educational content.” He explains that only by cultivating talent capable of innovating will it be possible to give industry new value and assist with industrial transformation and upgrading. The reform effort cannot rely only on isolated efforts by industry and academia. Government too has a key role to play. 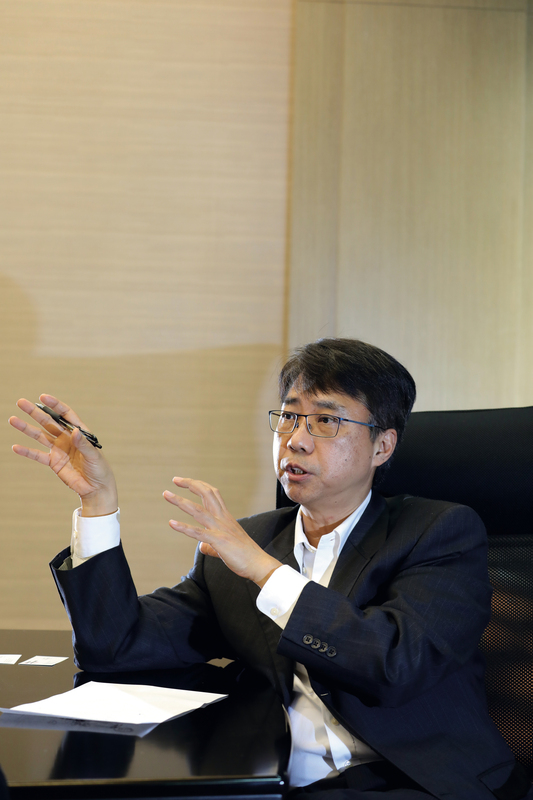 Charlie ­Chiang of the Tai­chung City Economic Development Bureau points out, “Even if Germany has a lot of major machinery manufacturers, they are all in different locations. No place in the world is like Taiwan, with the entire industry clustered together.” For future development, that clustering offers distinct ­advantages. Consequently, the Tai­chung City Government is planning Phase II of the Feng­zhou Science Park, which will serve as a location for smart machinery production. 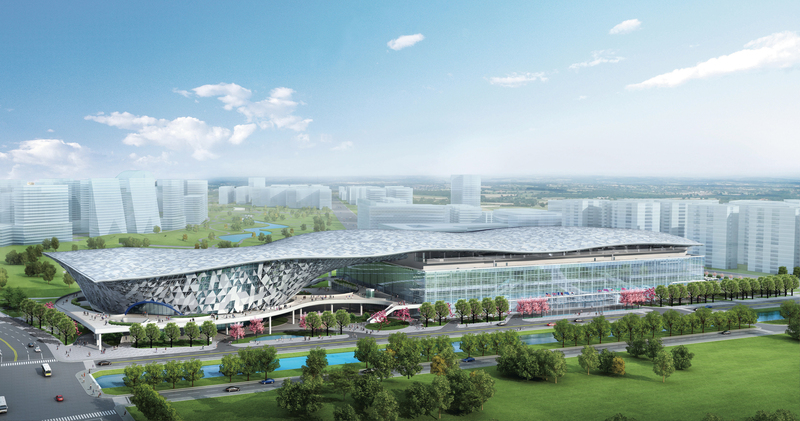 The city government is recruiting firms to set up factories there, and is pouring more than NT$10 billion into the Shui­nan International Exhibition and Convention Center. Most of Taiwan’s large convention facilities are located up north, but precision machines are bulky, so transporting them long distances isn’t convenient. After international buyers visit future trade shows at the center, they will be able to reach neighboring factories within half an hour. It will be a much more efficient arrangement. What’s more, the Tai­chung City Government currently plans on establishing a global smart machinery development center that effectively brings together government, industry and academia. The center will include a smart manufacturing beta testing area under the guidance of the ITRI, and it will exhibit machine tools, robotic arms, conveyor equipment, and automated guided vehicles that are entirely made in Taiwan as well as technologies related to big data, the Internet of Things, flex­ible manufacturing and so forth, thus integrating the virtual and “real” worlds and showcasing Taiwan’s smart manufacturing prowess to the world. 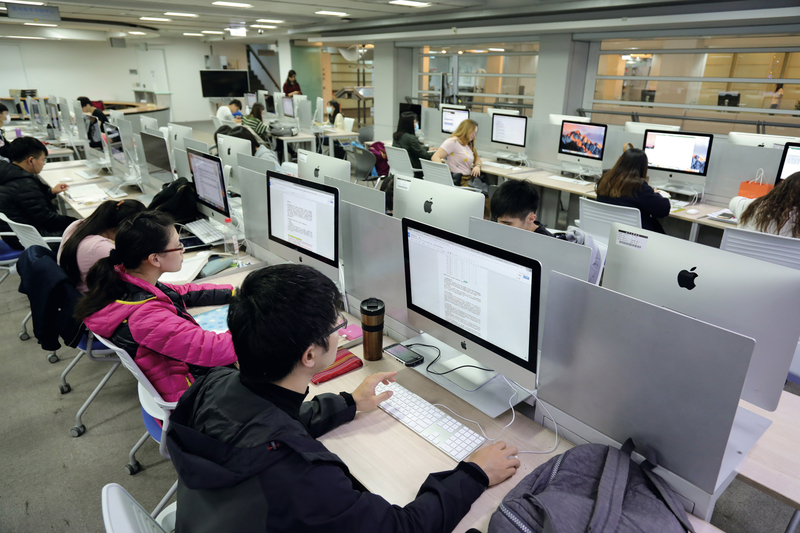 Many educa­tional institutions have sent staff to locate or set up offices here and have plans to make use of the resources for educational applications on their own campuses. In its support of Tai­chung’s aspirations to become the global capital of smart technology, the government is leveraging the nation’s power to build a platform where different realms can each do their part and co­operate closely across sectors. The new vistas of Industry 4.0 are just around the corner.